The Church has a couple of important and meaningful traditions related to The Feast of the Epiphany: the blessing of homes and the Epiphany Proclamation of Easter. I have previously written about Epiphany house blessings using chalk blessed during the Epiphany liturgy. 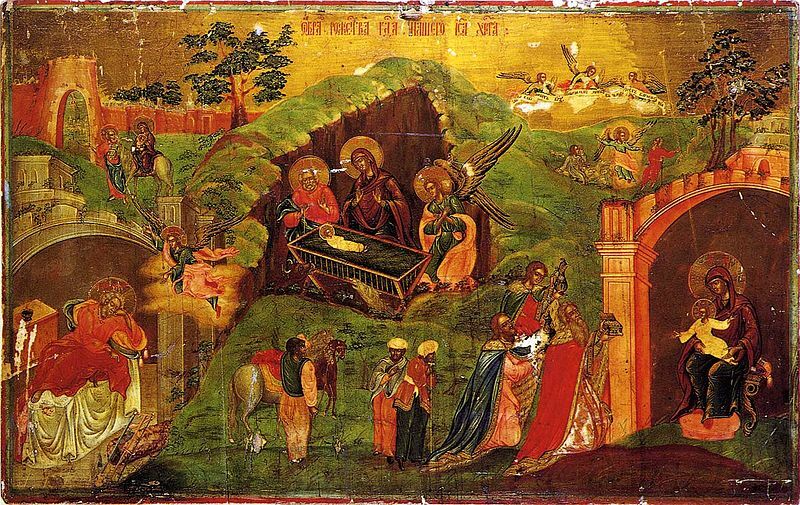 The ancient Church had a practice of announcing the dates of Easter as well as other feasts and fasts on the Feast of the Epiphany. The Epiphany is a fixed date feast. It is always celebrated on January 6. It is the last major fixed date feast before we enter the Easter cycle which is characterized by moveable dates. The Epiphany, therefore, became a good time on which to announce the date of Easter as well as other feast and fast dates. The Proclamation, however, announces more than dates. Ultimately, It proclaims the reality that our lives are to be lived in rhythm with and according to Jesus’ life. Let us recall the year’s culmination, the Easter Triduum of the Lord: His Last Supper, His Crucifixion and Death, His Burial, and His Rising, celebrated between the evening of the 2nd day of April and the evening of the 4th day of April, Easter Sunday being on the 5th day of April. Ash Wednesday, the beginning of Lent, will occur on the 18th day of February. The Ascension of the Lord will be commemorated on the 14th day of May. Pentecost, the joyful conclusion of the season of Easter, will be celebrated on the 24th day of May. And this year the First Sunday of Advent will be on the 29th day of November.